A handful of the world's best respected rock guitarists come together for this concert video, in which they show off their most impressive tricks. Night Of The Guitar II, Vol. 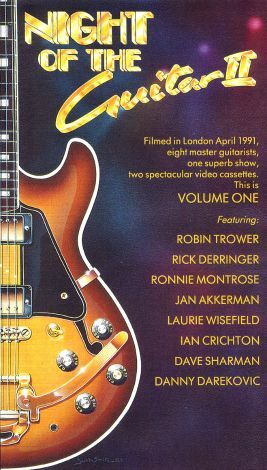 1 includes performances by Robin Trower ("Little Bit Of Sympathy"), Jan Akkerman ("Having Fun"), Ronnie Montrose ("Blood Alley"), Danny Darekovic and Dave Sharman ("Steppin' Out"), and more.